While the Iraqi calligrapher employs traditional tools and materials like handmade paper reed pens and customary inks, his flexible style has always left him somewhere on the periphery of convention. Dubai Culture vultures it’s time to mark your calendars because rule-breaking artist and calligrapher Wissam Shawkat is having a solo exhibition. The celebrated creative dynamo’s “Disciplined Insurgence” exposition, which is running from January 22 till March 5, is kick-starting the new art and design season at Tashkeel. As well as looking back over the career of the pioneer, “Disciplined Insurgence” includes some of his most recent works. The exhibition includes pieces from several series using his eponymous Al Wissam script, which references a number of traditional calligraphies, including Sunbuli, Jali Diwani, Eastern Kufic and Thuluth, bringing them together with modern design. Plus, there are new experiments with the revered Thuluth script, part of calligraphy’s untouchable history. 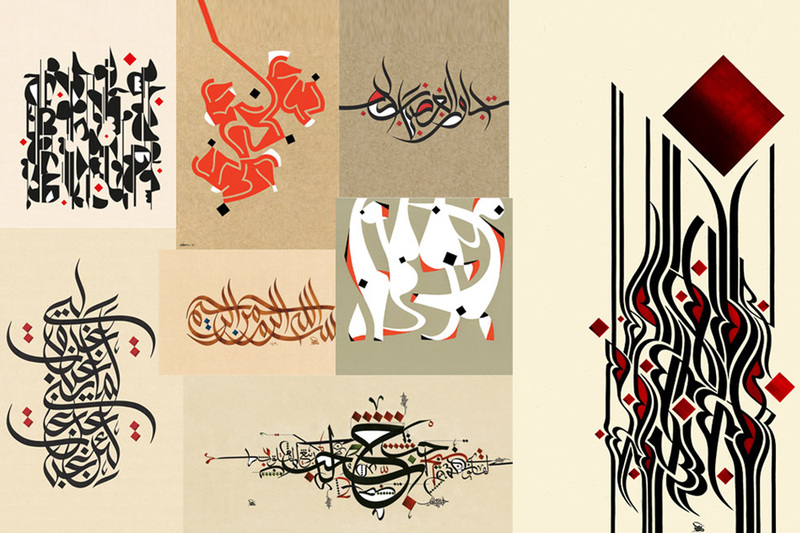 In the exhibition, the Basra-born calligrapher also reveals pieces from Calligraforms, a mix of calligraphy and typography that highlights letters as graphic forms and puts equal emphasis on positive and negative space. Shawkat, who is always challenging himself, creates new forms and rhythms from the existing codes and restrictions within calligraphy. Divorced from meaning and the heavy weight of religious content that Islamic calligraphy is often associated with, Shawkat’s work takes on a new freedom, which can either be interpreted as rebellious and bold or completely natural to an artist who has fostered a life-long relationship with the letters themselves. The artist became interested in calligraphy while reading Arabic letters on the school blackboard. For some inner peace and patience, Shawkat found himself repeating letters on the dusty tiles of a makeshift shelter during a heavy aerial bombardment as the Iraq-Iran war raged. And with the support of his parents, he became his own tutor. Then, as a teenager, he spent summers lettering for a local sign shop. While the remarkable talent went on to graduate with a degree in Civil Engineering from Basra University, he decided to fully focus on what he is passionate about the most, letterforms.